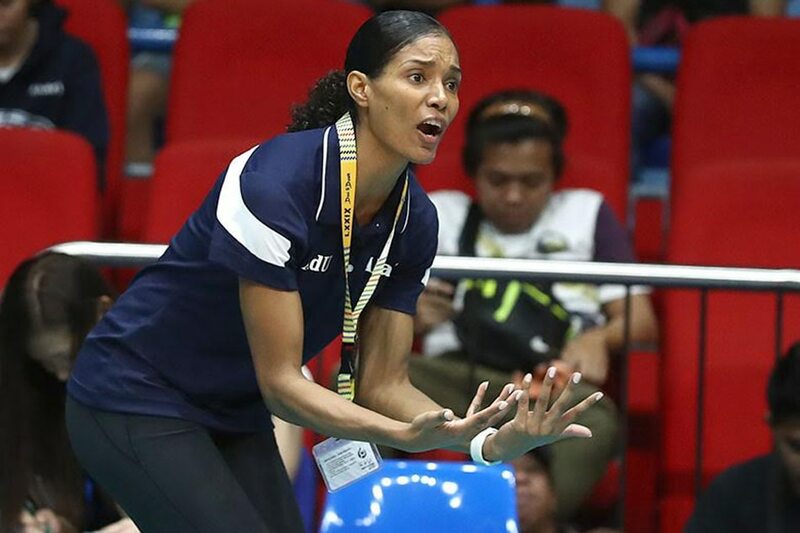 MANILA, Philippines – Adamson University head coach Airess Padda was genuinely remorseful after she was shown cursing on national television as the Lady Falcons lost in straight sets to Far Eastern University (FEU) on Sunday. During a televised timeout in the second set, Padda scolded her players for squandering a four-point lead against the Lady Tamaraws, and told middle blocker Joy Dacoron to "do your (expletive) job." It was not the last time she chewed out her team. In the third set, she told them: "It's embarrassing, to be honest." Padda's words could not sufficiently fire up the Lady Falcons, and they lost to the Lady Tamaraws, 9-25, 20-25, 11-25. It was their ninth straight loss in the UAAP Season 79 tournament, and 16th straight loss since last season. Adamson has won only one set all year long. "I apologized to Joy for cussing at her. I didn't mean to," Padda told reporters after the game. "But I'm very frustrated, disappointed." According to Padda, the Lady Falcons "had a great week of practice," and she felt they were building from the momentum of a solid effort against National University. Instead, they took not one, not two, but 10 steps back against the Lady Tamaraws. "I just felt like we worked too hard, we worked too hard for them to show up to the game and not give 110%," said Padda. "They weren't treating the match as if it was a match. They're treating it like it was some tune-up game." "I think that's how our season has been going and I was very frustrated and it came out at the wrong time," she added. Perhaps what is most frustrating for Padda is that while she and the rest of Adamson's coaching staff still have confidence in the Lady Falcons, it appears that their players do not have the same self-belief. For most of the season, her players have entered games already anticipating defeat. "They accept the loss before it even happens" was how Padda put it. On one hand, Padda knows it can't be helped. The Lady Falcons are a very young team, with several players just seeing major minutes for the first time in their careers. Their most veteran player is Jema Galanza, and even a player of her talent and skill cannot carry the team single-handedly. Still, Padda believes that the Lady Falcons should be performing better than they should, especially when taken into account how difficult their training program is. "We do a lot of mental activities, we do a lot of sports psychology stuff, and the trainings are really hard. 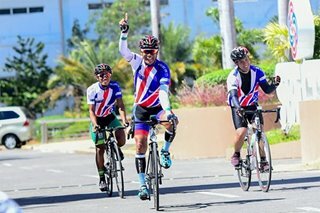 They get to show and prove to themselves that they can play at a high level even under a lot of physical activities," Padda explained. "We got girls running to the bathroom, throwing up. It's tough. But they're still able to come out and play at a high level," she added. The problem is how to translate their performances in practice to actual games, and that is something that they have yet to figure out. "We just don't know when it's gonna happen. Every game, we're hoping that it comes out today, it just hasn't happened," said Padda. Following the loss to the Lady Tamaraws, the Lady Falcons were all disappointed and sad, says Padda. Yet she also gave them a challenge, asking her players, "Aren't you tired?" "They just feel so bad," she said. "And I told them that they have the power to change it, they have the ability to change it." "The coaches can't do that for them, the coaches can't be confident for them. They're looking for somebody to instill confidence in them, but they have to do that themselves," she stressed. Adamson will try to pull off an upset when they take on University of Santo Tomas next Saturday.